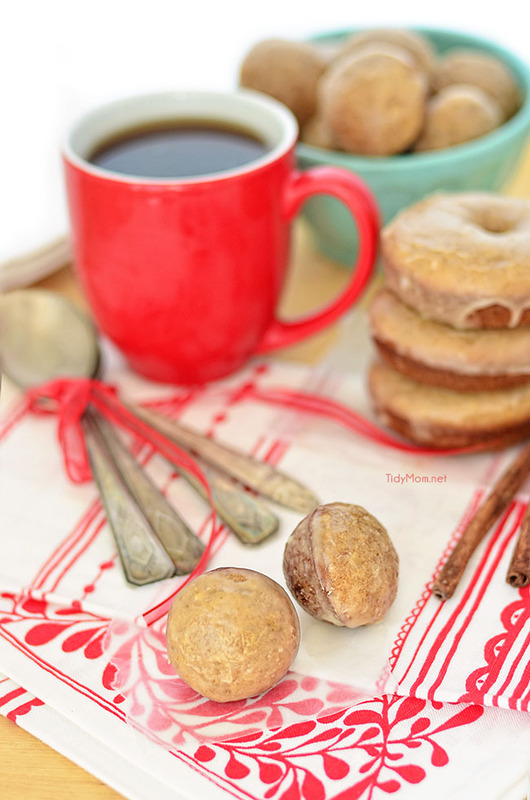 The apple flavor in this apple cider donut is subtle and sweet, while the browned butter glaze adds just a hint of caramel flavor making this one of my favorite donuts yet! My favorite nights were when he would bring home donuts…….I called them “doan doans”, and I LOVED “doan doans!”……I would eat several. I still remember the night he only brought home ONE donut for me and said: “I bet you can’t even eat the whole thing”. This one donut was HUGE! Do any of you remember when Target had bakeries? They made glazed donuts that were about the size of my head. My eyes grew HUGE at the site of that beautiful sweet disc of glazed goodness!! I climbed in my chair with a big glass of milk, because doughnuts are BEST when they’re dunked in milk, you know…..and I TRIED to eat that donut………but Dad won! !……I could NOT eat ONE whole donut…..but I sure tried my best. I first had an apple cider donut when I was in Vermont a few years ago. If you’ve never had one, the first time you sink your teeth into an apple cider donut, you might wonder what flavor you are eating. Vanilla? Maple? Caramel? A good apple cider donut has no overwhelming flavor of apples or cider, but instead a familiar subtle sweetness. I have yet to find apple cider donuts here in St. Louis. 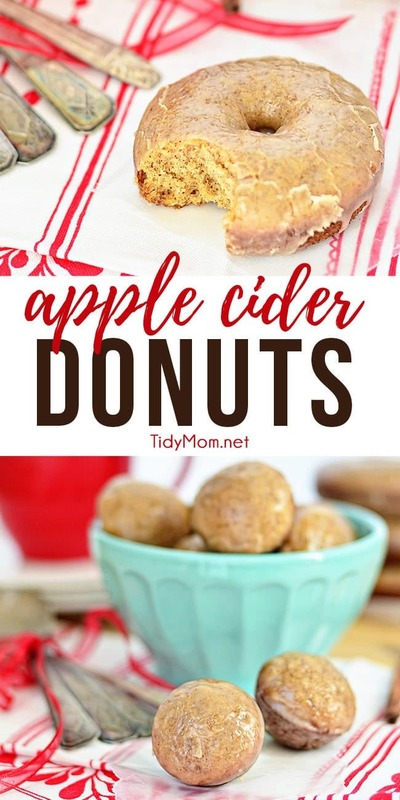 So a few weeks ago, Allison spied the apple cider in our fridge and decided we needed to make these cake donuts she’s heard so much about. Their heft and tender, dense crumb is much like a muffin. The boiled cider lends a stronger flavor, you’ll need to boil 1 -1/4 cups of cider down to 1/2 cup before proceeding with the batter, which also gets an extra dose of tang from the addition of buttermilk. I’m usually more of a fan of fried yeast donuts, but this apple cider donut is one of the best donuts I’ve made at home, so far. The apple cider donut is really good, all by it’s self, but let me tell you………the browned butter glaze was the kicker. It pushed it from really good, to amazing! 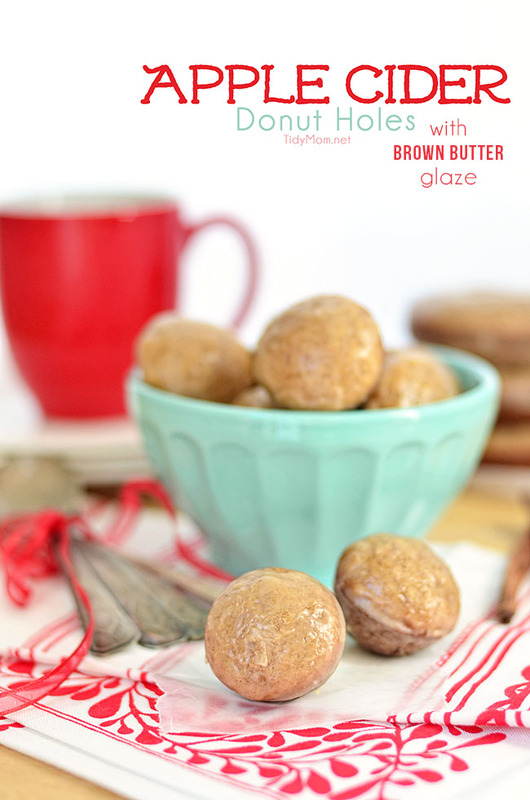 Please make these donuts happen in your kitchen sometime soon! 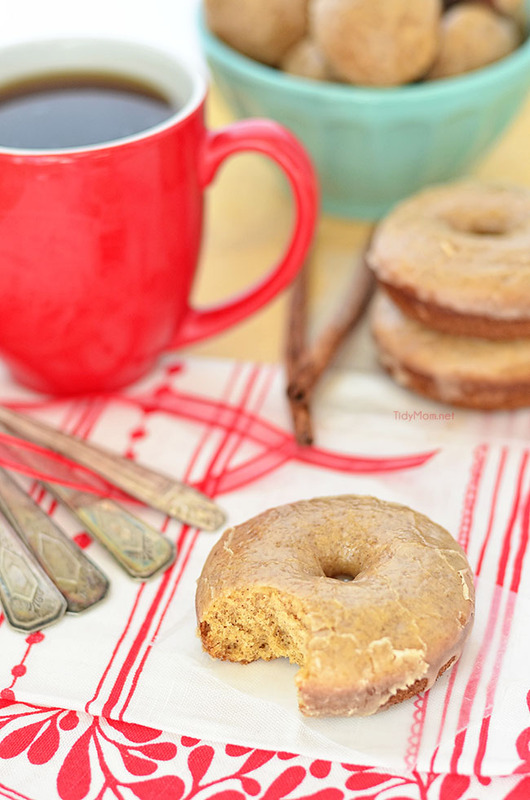 LIKE THIS APPLE CIDER DONUT RECIPE? PIN IT! Add cider and cinnamon sticks to a small saucepan. Over medium or medium-low heat, gently reduce the cider to about 1/2 cup, 20 to 30 minutes. Set aside to cool. Combine flour, baking powder, baking soda, cinnamon, cloves, and salt together in a large bowl. Set aside. In a medium bowl, whisk the egg, melted butter, brown sugar, and granulated sugar together until smooth. Whisk in the buttermilk, vanilla, and 1/2 cup of concentrated apple cider. Pour the wet ingredients into the dry ingredients and gently mix to combine, using a wire whisk. Do not over-mix, or you will have a tough textured donut. Whisk until just until combined, some lumps will remain. Pour the batter into the pan, filling 3/4 of the way full. Bake donuts or donut holes for 9-10 minutes or until a toothpick inserted in the center comes out clean. 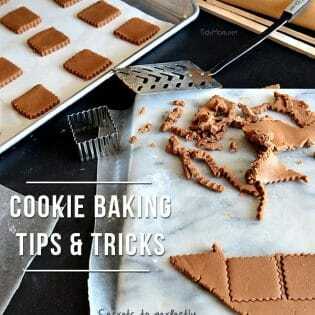 Remove from the oven and cool in the pan for a few minutes before transferring to a wire rack. Melt the butter in a small saucepan over low heat until it browned, about 8-10 minutes. Pour the butter into a small bowl, leaving behind most of the sediment on the bottom of the pan. Whisk in the powdered sugar, milk, and vanilla until smooth. These look lovely!! So yummy for the holidays. I just love apple cider. Beautigams Orchard in Belleville has a really good apple cider donut! Going to try yours! They look really good too! Delicious! I think I get my sweet tooth from my dad as well! 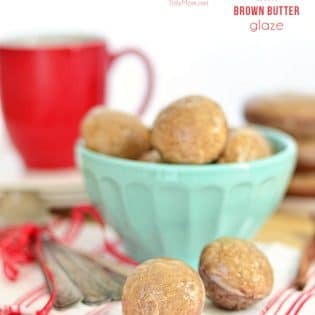 I’m all over that Brown Butter Glaze!! We love apple cider donuts! Yours look so good! 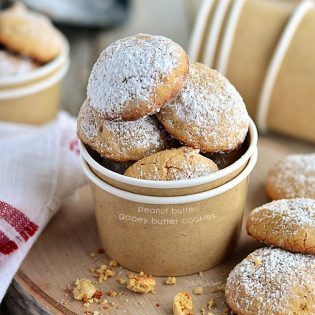 These look so good Cheryl! I think you’ve given me the best reason to buy a donut hole pan! These babies sound wonderful! Such a fun idea for a fall donut. I didn’t have cider donuts until I moved to Boston, but now I’m hooked. Love the addition of brown butter. I mean, you can’t go wrong with that. We are going apple picking next weekend – I am so ready for fall! !